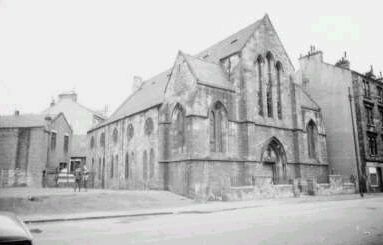 Fairbairn Free Church at 197 Baltic Street was situated opposite Fairbairn St.
1966 (see church) I remember this old church very well, but always derelict. The spare ground to the left was where we played fitba. The tenements behind the church, just in the photo are in Albany Street, opposite Dalmarnock Primary school. Tenements to the right of the church had a row of shops. 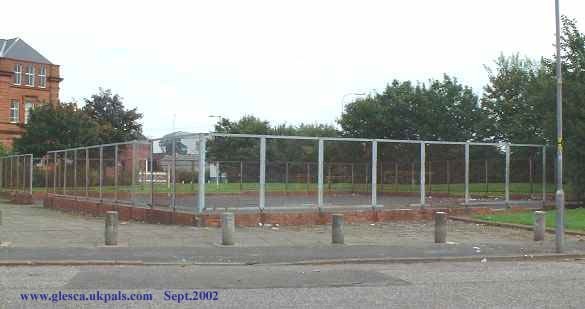 Adam's chip shop was there before he moved to Dalmarnock Rd. April 2013, Peter Travers, Larder Lake, Ontario, Canada. Baltic Street at the junction of Fairbairn. This is mah wee sister Linda McArthur wearing an Easter bonnet. She was born 22nd September 1955 in Baltic Street so I will be 4/5yrs old here. 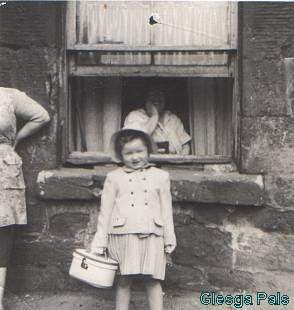 The old lady at the window in the background is Mrs Galloway. I lived at 202 Baltic Street. the single-end in the close with my parents and wee sister before moving round the corner to 74 Fairbairn St. The Wembley Bar was a favourite haunt of local GlescaPals. 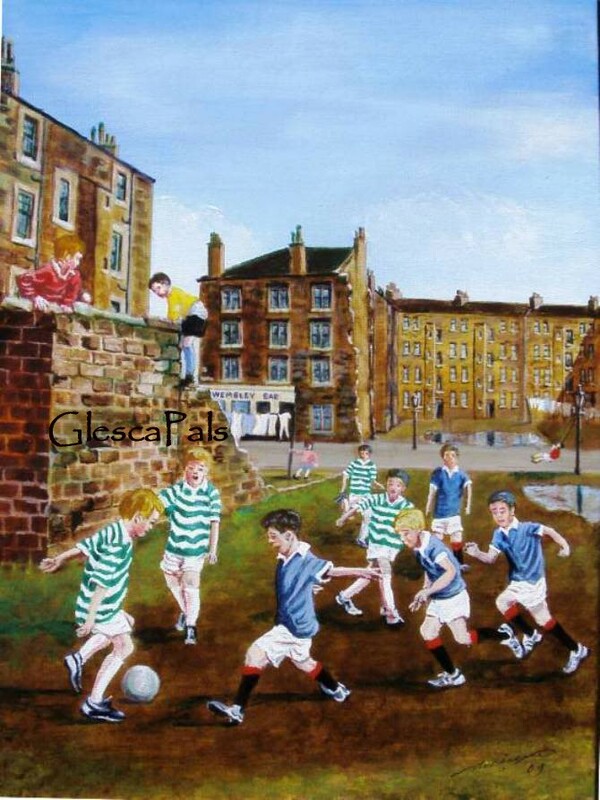 In my painting the tenements in Baltic Street are in the process of being demolished due to re-development of the area in the late 1960's. The background tenements front Dalmarnock Road between Dunn Street and Fairbairn Street. In the foreground some young glescapals are kickin' a ba' aboot while two weans are climbin' and dreepin' aff a dyke. I've used artistic license to show a couple of gas street lamps wi' a wee lassie swingin' on a rope attached tae wan o' the lamp posts. I'm no' sure if the other wee lassie hingin' oan tae the clothes pole is watchin' her pal swingin' or the boys playin' fitba'. extract from messageboard .... I would like to contact my pal John Galloway. 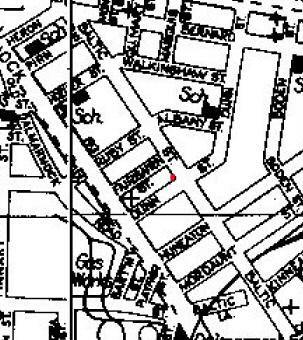 He had two sisters Ann and Margaret they lived at 202 Baltic Street across from Adams chip shop. I last saw John in 1964 we were pals and his sister Ann was a class behind me at Dalmarnock School years before. Any help would would be appreciated. My Da had bought a greyhound from the mount vernon dug track he kept it in a kennel in Kinnear Rd and often I would carry the dugs dinner in an ashet pan in a leather bag we got to 210 Baltic St that's where we met yer Da wearing a dunkey jacket. Mah Da said how you doin general, no bad bobby hows yersel. 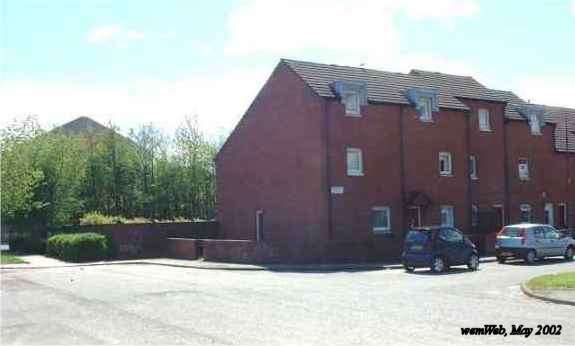 Half of brigton paid their rent when oor dug ran . there would be strangers waiting on the dummy for me and try to give me sweeties asking is yer das dug racing the night. Wullie Best from Dunn St trained and walked the dug. ... When you moved to 74 Fairbairn St two-up the right you got Mrs Strachan's hoose she had twins we left Brigton in an exchange with the Currans. Anyway Webmaister keep doing what you do so well. Bobby Bryden and all the best in the new year. Bobby whit a fantastic email, really nice tae know oor faither's knew each other. I had never heard that we got Mrs.Strachan's hoose thats a new name tae me, thanks furr that. The Curran's were oan the one storey landing and the close in 74 Fairbairn St had the two shops, Baltic Street side was the newsagent and the other side was the dairy.... thanks for writing tae me pal, Webmaister.